Iceland’s new minister of environment and a Left Green MP, Kolbrún Halldórsdóttir has announced that one of here first jobs in the government will be to protect the Þjórsárver wetlands. At the same time she has said that Norðurál’s (Century Aluminum) plans for a new aluminium smelter in Helguvík, can most likely not be stopped by any future government. While in opposition, the Left Greens always spoke against the construction in Helguvík. Þjórsárver are a unique ecosystem characterized by tundra meadows intersected with numerous glacial and spring-fed streams, a large number of pools, ponds, lakes and marshes, and rare permafrost mounds. Iceland’s national energy company, Landsvirkjun wanted to build a 30 meters high dam in the area, creating a 65 km2 big reservoir. The energy was supposed to run the enlargement of Rio Tinto Alcan’s aluminium smelter in Hafnarfjörður, a plan that the majority of the town’s population voted against in a local referendum in 2007. Later Landsvirkjun proposed to lower the planned dam down to 24 meters. 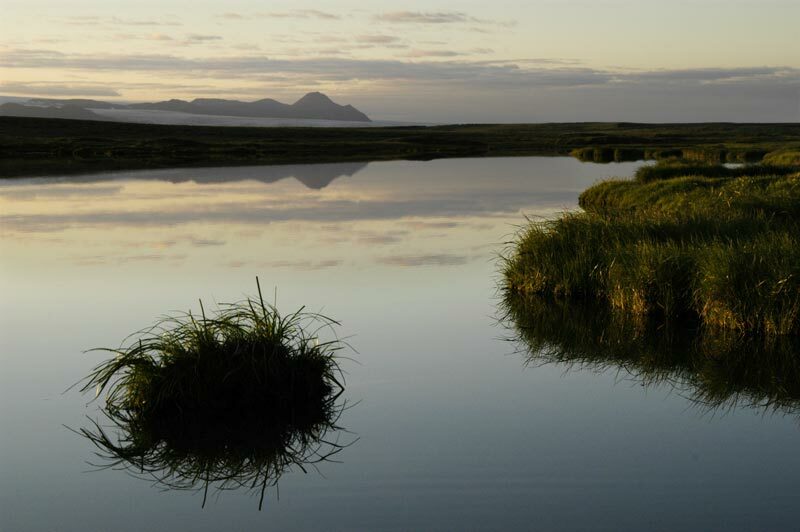 Halldórsdóttir’s decision about the protection of Þjórsárver is very important and a big victory for the Icelandic environmental movement. Iceland’s new minority government, formed by Samfylkingin (the Social Democratic Alliance) and Vinstri Grænir (VG – The Left Greens), has released it’s policy statement for the upcoming 80 days until parliamentary elections will take place in the end of April. The statement states e.g. that “no new plans for aluminium smelters are on the government’s list.” Still Össur Skarphéðinsson, a Samfylkingin MP and the minister of industry since 2007, has said that both Norðurál’s planned 360 thousand ton smelter in Helguvík and Alcoa’s planned smelter in Bakki, Húsavík, do not fall under this statement. “This particular sentence means that no foreign aluminium company can come and knock on the door of the minister of industry. There will be no new plans about aluminium smelters,” said Skarphéðinsson in an interview with Iceland’s TV station, Channel 2. Shortly before the collapse of the former government, Skarphéðinsson signed a investment contract between the government and Norðurál about the Helguvík smelter. Construction of the smelter started this fall but after the collapse of Iceland’s economy in October, Norðurál has had problems with financing the continued construction in Helguvík. The contract is supposed to make it easier for Norðurál to keep on the construction and includes e.g. that Norðurál will never pay higher taxes than at the time the contract was singed; and that the company does not have to pay several official fees that other companies have to pay. A similar contract was made between the government and Alcoa couple of years ago, because of Alcoa’s smelter in Reyðarfjörður. Kolbrún Halldórsdóttir, minister of enviroment agrees with Skarphéðinsson’s words. “A contract has been signed about Helguvík, which though is still waiting an approval in the parliament. Our evaluation is that this contract is the former government’s work and will therefor most likely not be changed,” she said to Morgunblaðið. Asked about Alcoa’s planned smelter in Húsavík, Kolbrún says that the memorandum of understanding between the former government and Alcoa will expire in the upcoming fall and that it is not on the new government’s list to renew it. Alcoa has also said that the company is lowering it’s production and new constructions. Today, the City Council of Reykjavík approved a contract between Norðurál and Orkuveita Reykjavíkur (OR – Reykjavík Energy), about the purchase of energy for the Helguvík smelter. OR is engaged to supply 250 MW to the smelter and plans to produce most of the energy by geothermal power plants in the Hengill area. 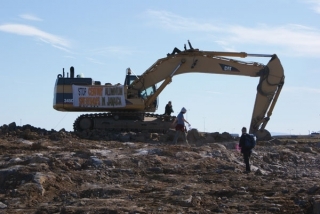 Most likely it will not be enough, so OR has talked about building a power plant on Bitra, an old plan that was stopped by heavy campaign one and a half year ago, by Hveragerði township, which would be much affected by the construction and loose a treasured hiking area. The energy price is linked with the constantly falling world price of aluminium. If built, the Helguvík smelter will need at least 625 MW of energy. According to the contract mentioned here above, 375 MW will have to come from Hitaveita Suðurnesja’s (HS) planned geothermal power plants on the Reykjavík peninsula. But HS has already said that the company will not be able to produce all that amount of energy. 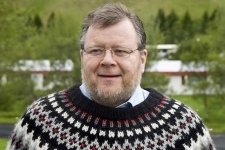 Ómar Ragnarsson, an active environmentalist, has said that if HS will construct all the needed power plants to produce enough energy for Helguvík, the whole Reykanes geothermal area will dry up in few years. Eight power plants are needed to supply all the needed energy (see more on that issue here). 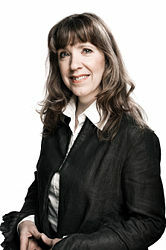 Svandís Svavarsdóttir, a member of the Left Greens, heavily criticized the contract making today. She highlighted the stupidity of signing the contract when it is still not sure that the necessary energy can be supplied. Once again completely corrupt contracts are signed concerning the development of the aluminium industry here in Iceland. And now, when in government, the Left Greens seem to be ready to make compromises about their environmental policy. Surely there will be a lot to do for Icelandic environmentalists in the upcoming months.